Siamese Rama 9 is a condo project developed by SIAMESE ASSET CO., LTD., Units range from studio to 2 bedroom. 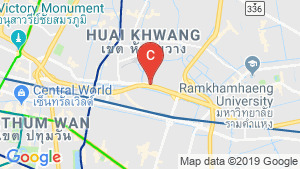 Siamese Rama 9 at Bang Kapi, Huai Khwang has the following facilities: cctv, fitness, parking, security and swimming pool. SIAMESE ASSET CO., LTD. has also developed projects such as SIAMESE EXCLUSIVE RATCHADA.